William Farr received his medical education at the University of Cincinnati in the United States where he earned a Ph.D. in pharmacology, and the M.D. degree. He taught cardiovascular physiology and experimental medicine until he moved to Tucson, Arizona, to pursue further clinical training. He practiced geriatrics/hospice/palliative care in Tucson for 20 years while also being in solo practice and simultaneously a medical director of two health maintenance organizations for several years. In 1976, he became the medical director of the Hillhaven Hospice in Tucson, the first freestanding hospice facility in the US. Hillhaven was one of three hospices chosen to participate in a three-year National Cancer Institute contract to study the feasibility of applying the British hospice model in the American healthcare system; he was also the co-principal investigator. 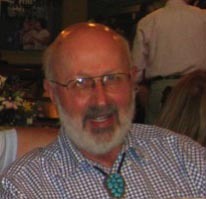 He continued as medical director of the successor hospice program, Carondelet Hospice, Tucson, until his retirement from medicine in 1995. Dr. Farr became involved with the International Hospice Institute (IHI) in 1980 and was asked by its president, Dr. Jo Magno, to be her vice-president and a board member. Eventually, two independent organizations were founded by IHI – The International Hospice Institute and College (IHIC), which replaced IHI, and the Academy of Hospice Physicians (1988). He was a founding board member of the Academy, which eventually separated and became an independent entity (American Academy of Hospice and Palliative Medicine). He continued as vice president of IHIC and eventually was co-chair of the IAHPC for several years. Dr. Farr was founding editor of the IAHPC newsletter, which was first published in April 1997, and continued in this position for 17 years until stepping down last year to become senior newsletter advisor. In 2010, he was elected to a new position in IAHPC, Lifetime Board Director, along with Drs Derek Doyle and Roger Woodruff. He continues to serve on IAHPC committees. In retirement for the past 15 years, he owns a beef cattle farm in Georgia with his wife of 42 years. They sell beef directly to the public and spend most of their time caring for the land and cattle. Dr. Farr is also a ruling elder in his church and an online counselor about spiritual issues for the worldwide Internet ministry, Peace with God, of the Billy Graham Evangelistic Association.